Editor's note: This article originally appeared at FAIR.org. Republished by permission. 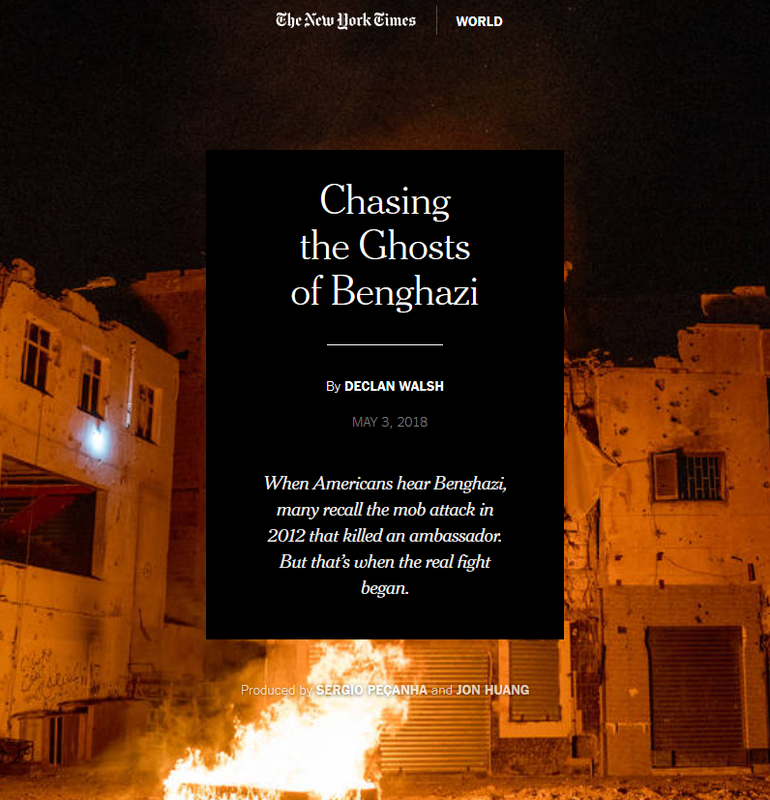 New York Times Cairo bureau chief Declan Walsh went to Benghazi, Libya, which is in ruins, to find out how it got that way. 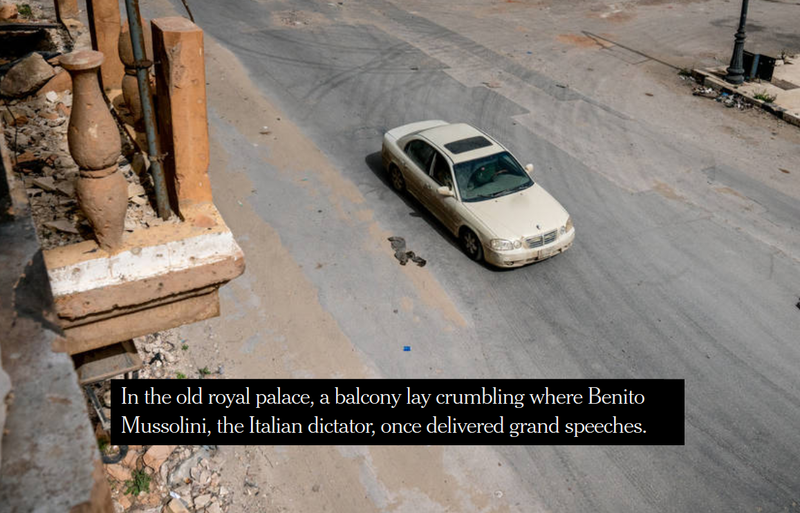 “When I went to Benghazi, I was guided by one main question: How did the city come to this?” he declares in his multimedia presentation, which combines text, audio, video and large-format photography. One thing that’s not conveyed via any medium, though: Seven years ago, the United States and its allies used military force to overthrow Libya’s government. The country has been in almost continual civil war since then, which you would think would be crucial in explaining “how the city came to that.” But apparently you don’t think like a New York Times bureau chief. The thing is, when President Barack Obama — egged on by Secretary of State Hillary Clinton — called for an attack on Libya, the justification they offered was that Libyan leader Moammar Gadhafi would otherwise destroy Benghazi. So the fact that military intervention actually turned out to lead to the destruction of Benghazi seems like something you might want to tell Times readers, or Times consumers of multimedia, anyway. When a “mob attack” killed the U.S. ambassador in 2012 — "that’s when the real fight began.” In other words, the “real fight” didn’t begin a year earlier, when NATO added its overwhelming military might to a rebel uprising against Gadhafi. It’s not like Walsh hasn’t heard of history—he notes the historical trivia that Benito Mussolini once gave a speech from a Benghazi balcony. There’s room in the piece to mention Mussolini, but Obama and Clinton? They don’t come up. This is not the first time U.S. media, or the New York Times in particular, have erased U.S. responsibility for Libya’s travails. Ben Norton wrote a piece for FAIR last November about coverage of the return of slave markets to Libya; the Times did better than most outlets by acknowledging that the resurgence of slavery was connected to the chaos following the downfall of Gadhafi — but couldn’t bring itself to remind readers that the United States government helped bring about that downfall. 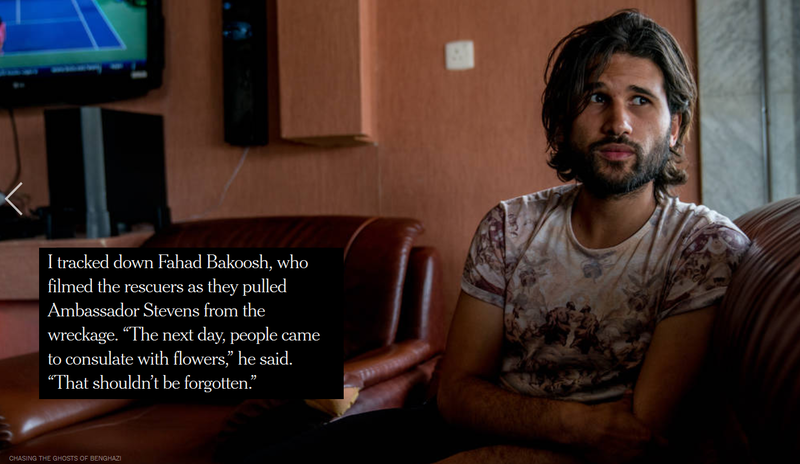 But when a journalist sets out — "guided by one main question” — to understand the roots of devastating violence in a particular city, and fails so utterly to take the overwhelming role of Washington intervention into account. ... Well, I’ve been doing this a long time, and I have to say I was startled by the complete erasure of quite recent, utterly relevant events.